Our first class at Wing Chun & Jiu-Jitsu Melbourne on the 6th January 2018. 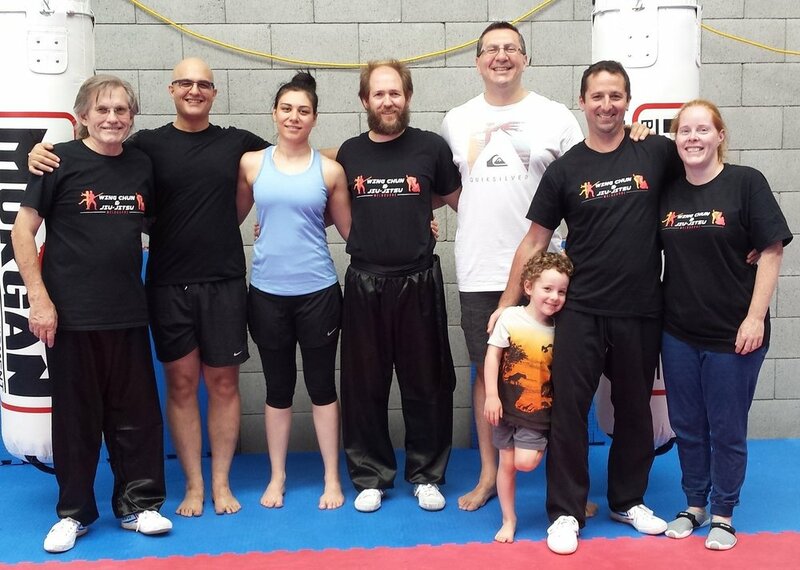 Wing Chun & Jiu-Jitsu Melbourne strives to teach students practical self-defence. In a family-friendly environment, people of all ages and experience are encouraged to learn one or two martial arts. Both the Chinese martial art, Wing Chun Kung Fu, and the Brazilian martial art, Gracie Jiu-Jitsu (a.k.a. Brazilian Jiu-Jitsu), are street effective and perfect for self-defence. At Wing Chun & Jiu-Jitsu Melbourne we believe that everyone should learn how to defend themselves both on the feet and on the ground. Wing Chun Kung Fu and Gracie Jiu-Jitsu complement one another, and in combination are a most effective way of dealing with an attacker. Gracie Jiu-Jitsu is unquestionably the best martial to learn to defend yourself if the fight goes to the ground. On the feet, there are many to choose between. It is important to acknowledge that all martial arts are to some degree flawed in one respect or another. For instance, particular techniques might be unrealistic or inapplicable in the street. All martial arts cover some self-defence situations well, but not others. For example, Wing Chun Kung Fu doesn’t adequately address how to escape from common headlocks, whereas Gracie Jiu-Jitsu deals with many different headlock situations on the feet and on the ground. 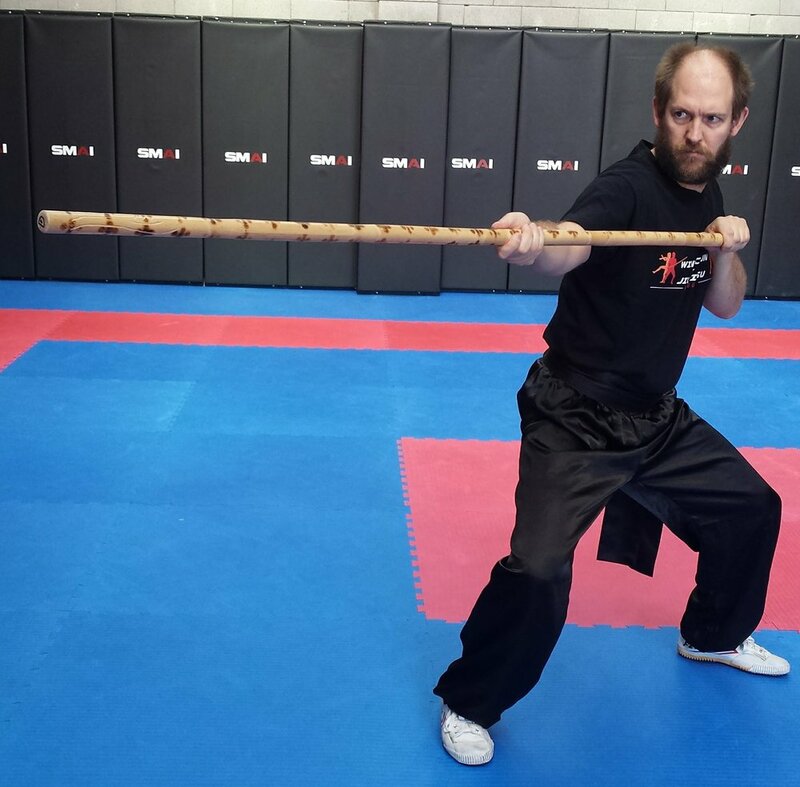 Then again, when there is an overlap in other areas between these two martial arts, some exponents prefer the Wing Chun techniques and find them easier to learn as well as execute. For instance, not all self-defence situations are best dealt with using grappling techniques. It is essential to learn how to strike your opponent if that is what is needed to save your life. We advocate learning Wing Chun Kung Fu as well as Gracie Jiu-Jitsu because both these martial arts assume that your assailant is likely to be larger, stronger and more athletic. Wing Chun Kung Fu relies on deflection, redirection, and finding the path of least resistance through the opponent's guard so as not to fight force with force. Gracie Jiu-Jitsu employs leverage-based techniques, timing and efficient use of energy while teaching you how to exhaust your attacker. Rather than brute strength, it too relies on finding the path of least resistance. Our second class at Wing Chun & Jiu-Jitsu Melbourne on the 7th January 2018. If you do choose to learn both martial arts you will recognise the invaluable choices you have been given to cope in any situation. 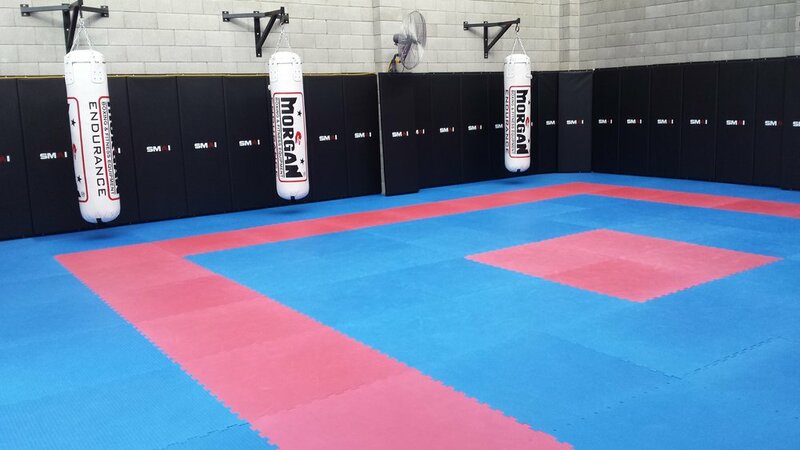 Not all techniques will suit everyone, but between Wing Chun Kung Fu and Gracie Jiu-Jitsu, we pretty much have all of your self-defence bases covered. So why not just go to a mixed martial arts school and learn MMA? Because in all likelihood you will become a jack of all trades and a master of none. Unless you are training to be a professional fighter, it is impossible to simultaneously master more than one or two martial arts. At Wing Chun & Jiu-Jitsu Melbourne you can dedicate yourself to two martial arts that cover everything you should ever need to know to defend yourself.